5 years after walking out of the national Christian Umbrella body over certain differences, the Catholic Church, under the Catholic Secretariat of Nigeria (CSN), has returned to the Christian Association of Nigeria (CAN) . 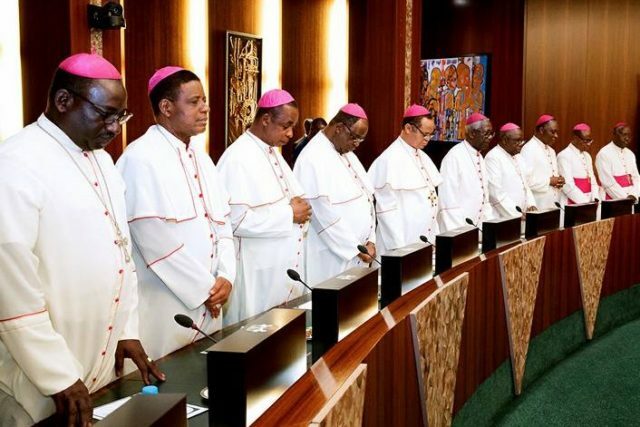 The Catholic Bishops Conference of Nigeria (CBCN) had in a letter dated September 24, 2012 by its president, Most Rev Ignatius Kaigama and addressed to the then CAN President, Pastor Ayo Oritsejafor announced its withdrawal from the organisation. Last year, current CAN president, Samson Olasupo Ayokunle initiated moves to ensure the return of the Bishops to the fold. Some weeks ago, Kaigama led the leadership of CBNC to the CAN national secretariat, where he and Ayokunle’s team addressed identified grey areas. Consequently, at the weekend, a CSN delegation led by Rev Fr. Prof Cornelius Afebu Omonokhua who represented Kagama, attended the expanded CAN National Executive Committee meeting for the amendment of the body’s constitution. In his reaction, Ayokunle expressed joy at CSN’s reunion with CAN. “One of my visions for CAN was to bring our Catholic brothers and sisters back to the fold and I must acknowledge the support and understanding of my brother in Christ, Most Rev Ignatius Kaigama, President, Catholic Bishops’ Conference of Nigeria and his team. “I give kudos to all the Principal Officers, the Directors and some Christian leaders in the country for their support and understanding while the dialogue lasted.